During last week the area facing East Wichel Way where Taylor Wimpey have planning permission to build a parade of shops has been cleared and levelled. It looks a promising sign, but as these shops have been so long coming — planning permission was originally granted on 6 May 2011 — we’ll wait until building work starts before getting too excited. 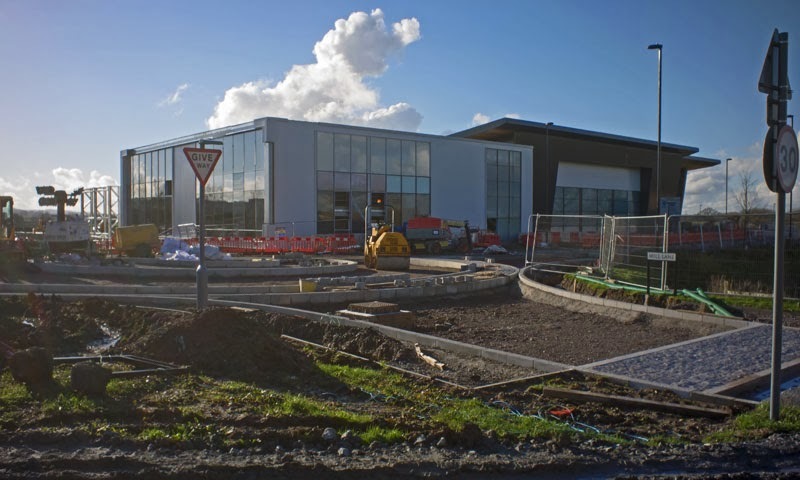 Over at the Wichelstowe district centre site, the shell of the new Waitrose store is almost complete. 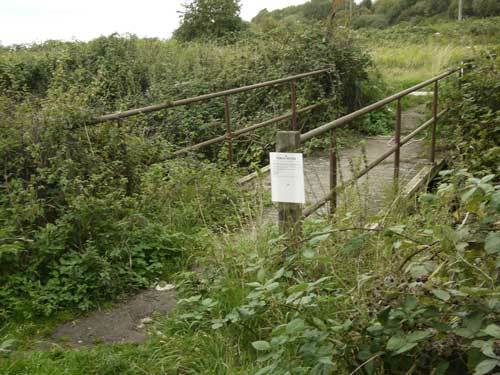 According to Councillor Nadine Watts, Foxham Way will remain closed until the beginning of February and Mill Lane until the end of February. But when we looked earlier today, there seemed rather a lot to do in two weeks if Foxham Way is to reopen then. It was also proving a popular destination for walkers on a sunny Sunday afternoon, with quite a few people coming to view the progress. 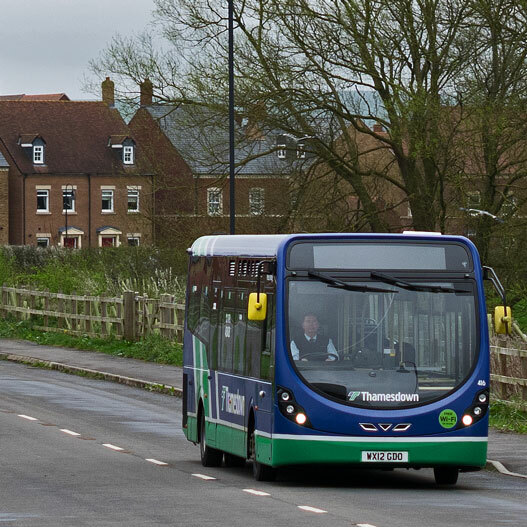 Update, 28 January 2014: The reopening of Foxham Way has now been delayed to midday on Monday 10 February.